did you do your skincare routine last night??? Rep. Alexandria Ocasio-Cortez’s personable social media presence has given her followers a new little nugget to obsess over: Her skincare routine. Ocasio-Cortez is a skincare goon, just like you. An Instagram follower asked Ocasio-Cortez how she stays stress-free and keeps her skin so clear. Ocasio-Cortez said that while she is far from stress-free, she credits her clear skin to avoiding full-coverage foundation (tinted moisturizer and BB cream only) and her multi-step skincare routine. She starts off with double cleansing. Double cleansing was mainstreamed in the last few years due to the popularity of (laborious) Korean beauty routines. Essentially, it’s cleansing your skin with an oil or oil-based balm to remove makeup and other grime that has collected on your face throughout the day, and then following up with an ordinary cleanser to get rid of residual oils. The next step for Ocasio-Cortez: Toners and actives. Ocasio-Cortez didn’t specify which actives she uses, but I’d bet money she uses a good vitamin C serum. The last step for Ocasio-Cortez is moisturizer and sunscreen. “I find moisturizer to be one of the most personal steps bc everyone’s skin is different and it’s like finding jeans that fit,” Ocasio-Cortez wrote which, wow, true. 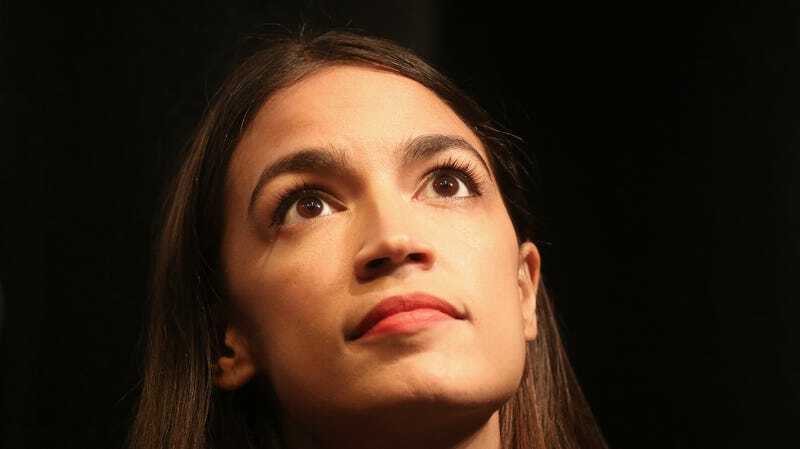 Ocasio-Cortez called sunscreen the most important element of her skincare routine. Ocasio-Cortez even pivoted to lifestyle blogger and wrote about her complicated relationship with dairy: She loves it, but has begun to regard it as more of a treat. “I’m very into oat milk right now which IMO is the best of all the milks after cashew milk (I know I should v bougie right now but almost any non-dairy milk sounds bougie so here we are),” she wrote. Ocasio-Cortez may be complicit in New York City’s oat milk scarcity crisis, but at least her skincare advice is pretty sound.